Forgiveness has never been an attribute of sixteen-year-old Sydney Morgan's. 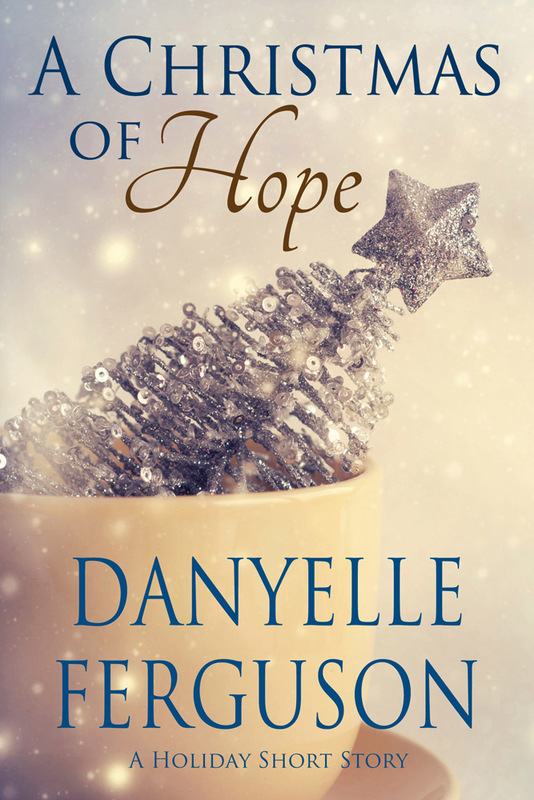 Loyal and loving to her mother and sister, a crisis forces her to find her absent father, which in turn begins a chain of events leading her to the last place and time she would have ever expected. The Forgotton Warrior follows Syd as she is transported back to Book of Mormon times by touching a mysterious clear stone. She meets Chief Captain Helaman; nursemaid, Mariah; and the stripling warriors. They believe Syd to be a boy, and worse yet, Helaman's second-in-command, Tarik, thinks Syd is a Lamanite spy and threatens to kill her. Come follow Sydney as she desperately tries to find her way back home, fights to gain Helaman's respect, and despite herself, falls in love with Tarik. Anyone who regularly reads my blog knows I'm a total romance buff. I also enjoy suspense, action, and mystery . . . and in the past year or so have finally become a budding fan of fantasy. 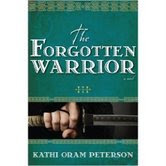 If you like any or all of these elements, then you will truly enjoy The Forgotten Warrior by Kathi Oram Peterson. I took this book with me during my son's recent hospital stay. While he played video games or was building Lego creations, I was devouring this book. I had the hardest time putting it down when my son was ready for some Mama attention. Right from the start, I fell in love with Sydney. The book begins with Sydney totally ticked off and ready to boil over when she hears a trusted friend saying something not-so-nice about her sister who has special needs. I absolutely admired her devotion to her younger sister who has special needs and totally wanted to cheer when Sydney let her friend have it. As a mom raising a son with autism, I have often wondered how I will react when someday someone does something like this to him. Will I keep my cool? Or will I totally lose it and tell them off? Knowing my hot temper, it will probably be the latter . . . although I'm preparing myself now to try to more cool than boiling hot. Imagine, if you will, me reading the first chapter and wanting to shout, "You go, girl!" This book grabbed me right from the beginning, then pulled me a long with Sydney's discovery of her mother's illness, tracking down her absentee father . . . only to find out the reasons behind his abandonment weren't quite what she had grown up believing. Sydney's world turns upside-down . . . literally, as she's suddenly transported back to The Book of Mormon's Strippling Warriors time period. This was the very best part of me. I felt like I was living and breathing the life of a strippling warrior. This is when we meet Tarik. Off topic, I want to say I think Tarik is one fine man (and I'm not just talking about his integrity!). I love - absolutely love! - the tension between Sydney and Tarik. And I just laughed out loud every time that girl flipped him over and pinned him to the ground. How totally awesome to have such a big buff guy bewildered by this little chick's slick black belt moves. The lovey-dovey girly side of me really enjoyed the romantic tension between the two of them. Seriously though, this book is an excellent example of an entertaining novel that leaves the reader with a much better understanding and appreciation of an historical moment - in this case, the strippling warriors and their faith in Heavenly Father as they defended their families, loved ones, and land. I highly recommend this book. 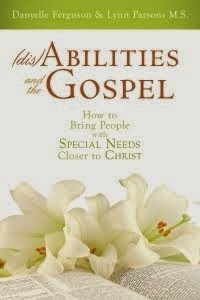 For more about this book, check out Kathi's website and her blog. To purchase The Forgotten Warrior, click here. Thank you for reading and reviewing my book, Danyelle. I'm honored that you appreciated the scenes of Syd sticking up for her mentally-challenged sister. I'm also glad you liked Tarik. He was fun to write, especially when he and Syd argued. :) FYI: I've written book two and it is in my publisher's hands. Thanks, again. Kathi - Thanks for such an awesome book! I'm so excited the next book is already in with your publisher! Please keep me updated. I'd love to announce it on my blog when you get the release date. Thank you for including me on your blog tour. Why thank you, Tristi dear! Great review, Danyelle. Sounds like another fun one to add to the shelf. Thanks Cathy. I think you'd really enjoy it!